Real Madrid, one of the most iconic football clubs in the world, has just unveiled their new home jersey which is now available at Soccer & Rugby Imports! 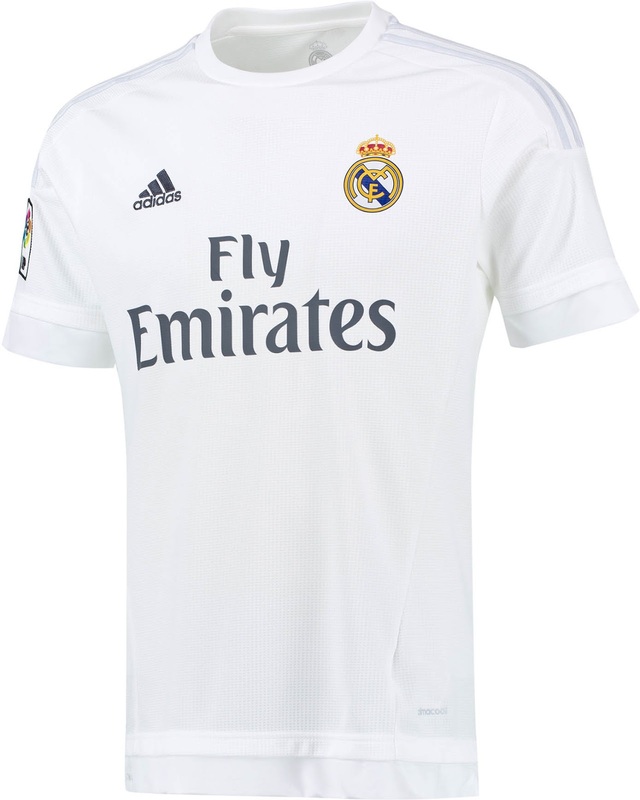 The 2015-16 Real Madrid home jersey is a traditional solid white kit combined with three light gray Adidas stripes that run from the collar past the shoulders. The new Adidas sponsored jersey sees a return to the classic all-white look for Los Blancos (The Whites). A dark grey logo for Fly Emirates is located in the center of the shirt. Other features of the home shirt include the official badge for La Liga on the right sleeve. A gray monochromatic club crest is located insde the color with the slogan "Hala madrid y nada mas" (Hala Madrid and nothing else) below it. Real Madrid's initials, RMCF, is seen on the right part of the hem. Real Madrid are due for an exciting season as they look to reclaim a La Liga title as well as challenge for another Champions League triumph. The new 2015-16 Real Madrid home jersey is a must-have for all supporters of Los Merengues.